The popular monthly Downtown Art Walk attracts over 25,000 visitors and includes over 50 art gallery spaces and exhibits. I think it’s safe to say that many people think of cars and sprawl when they think of Los Angeles. Granted, that is part of the LA story, but it’s definitely not the whole story. As a recent transplant to Downtown Los Angeles (DTLA), I am constantly learning new things about Los Angeles that challenge many of the commonly held beliefs about the City of Angels. One of the most interesting attributes of Los Angeles, especially as it relates to historic and old buildings, is the culture of ‘reuse’ that exists in many parts of the city. Most famously, the downtown historic core has been using the innovative Adaptive Reuse Ordinance (ARO) for the past 14 years in an effort to re-imagine downtown as a 24/7 activity center with more full-time residents. 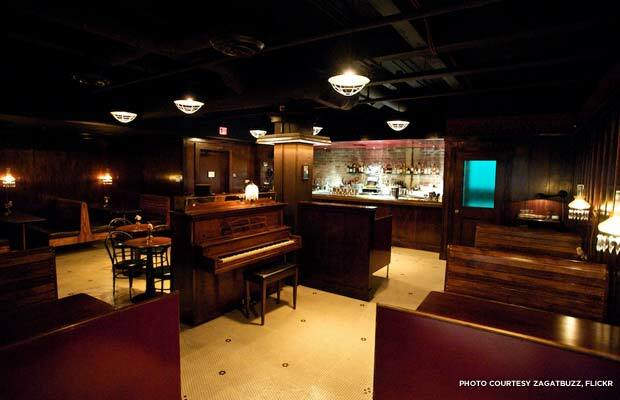 Varnish is one of many local speakeasies with great interior preservation of the original space along with additional vintage charm. As one of LA’s most significant preservation incentives, the ARO has made it easier to convert dozens of historic and under-utilized structures into new housing units. The most important perk for adaptive reuse projects? An expedited permitting and approval process that extends flexibility to older and historic buildings. 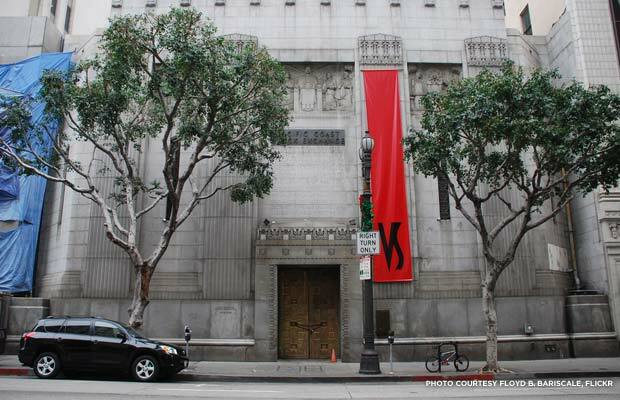 LA’s innovation around incentivizing building reuse of older and historic buildings has shown that preserving and leveraging a city’s existing built assets can contribute significantly to local economic development and help meet changing real estate market demands. The proof is in the numbers: Since its inception in 1999, the ARO has been responsible for adding more than 30,000 residents and 14,000 residential units in downtown. 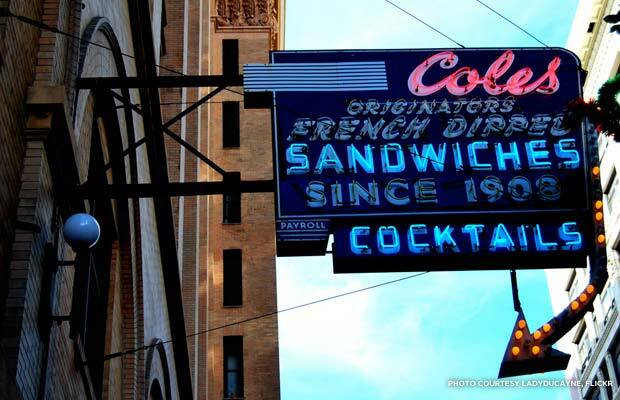 Coles, a restaurant in downtown LA, has been in business since 1908 and claims to be the originator of the French dip sandwich. The Los Angeles Conservancy recently awarded Coles with a coveted preservation award after a beautiful interior restoration of the original glass lighting, penny tile floors, and the 40-foot mahogany bar. When I relocated from Phoenix to Los Angeles by way of Seattle a couple months ago, I added myself to the list of new DTLA residents seeking an urban experience in the land of sprawl. My housing search quickly landed me in LA’s downtown historic core -- a neighborhood that just so happened to also be at the center of the Preservation Green Lab’s work in LA with the Urban Land Institute on barriers to and opportunities for building reuse. The historic core is the sub-area of downtown that has experienced a majority of the newly added residential units, many of which are converted bank buildings, offices, etc. The building I found (and currently live in) belongs to a swath of buildings on historic Spring Street that once constituted Los Angeles’ own version of Wall Street, with the Los Angeles Stock Exchange building just one block away. In addition to a beautiful and rich stock of buildings, the historic core neighborhood is also home to many local and neighborhood-oriented businesses. Many of them play off the area’s history in some way by referencing a particular time in the neighborhood’s past (such as Prohibition), maintaining authentic interior spaces in the storefront shops, or using history as the primary marketing strategy for many of the office-to-loft conversions. So far, my attempt to find an urban experience and lifestyle rooted in history is nearly complete (although there is always something new happening around the corner, like the monthly Art Walk). 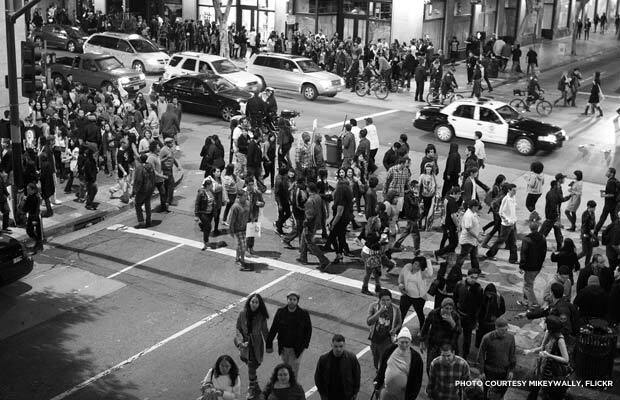 As I meet people from other neighborhoods or even other cities, I relish in telling everyone about where I live and what downtown LA is actually like. Challenging assumptions about Los Angeles has absolutely been a pleasant side effect of my newfound home. Next time you’re in Southern California, consider visiting the historic core to enjoy the adaptive reuse projects that are giving new life to many of LA’s oldest buildings and contributing to the fabric and richness of DTLA.